First of all, a warm welcome to C.G. Michaels, our newest follower. Many among our most recent friends come from Argentina though, so today I’d like to discuss a car they know quite well. 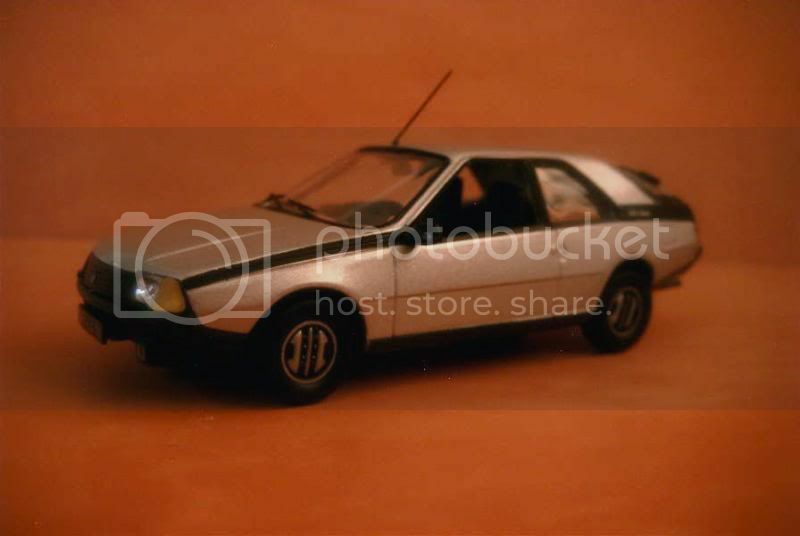 As the Renault 15 and 17 coupes were based on the popular saloon, the Renault 12, the French company logically decided after the replacement of the latter by the Renault 18 to introduce a brand new coupe derived from the newest car. Tastefully penned by Michel Jardin under supervision by Robert Opron, it would receive Fuego as a name. Production of the Fuego started in October 1979, replacing the R15/17 at Renault’s Maubeuge factory. Introduction would wait until March 1980 and the Geneva motor show. Most of the critics at the time concentrated on the styling. Not that it wasn’t elegant enough – on the contrary – but some judged that the new Renault unfortunately looked too similar to the Porsche 924, noticeably sharing the same concept of a rear opening glass “bubble” hatch. Furthermore, the Fuego, a much more modest car than the German machine, suffered from the comparison. On the road, the Fuego enjoyed a safe and predictable behaviour, a characteristic unsurprisingly shared with the R18. Alas, it also shared its engines, with no performance version initially offered. But in the end, the biggest problem the Fuego had to face was the fact that it simply came too late on the market. The concept of a coupe based on a mid-range saloon, powered by a large selection of engines, had been invented by the Ford Mustang then transposed to Europe by the Ford Capri. 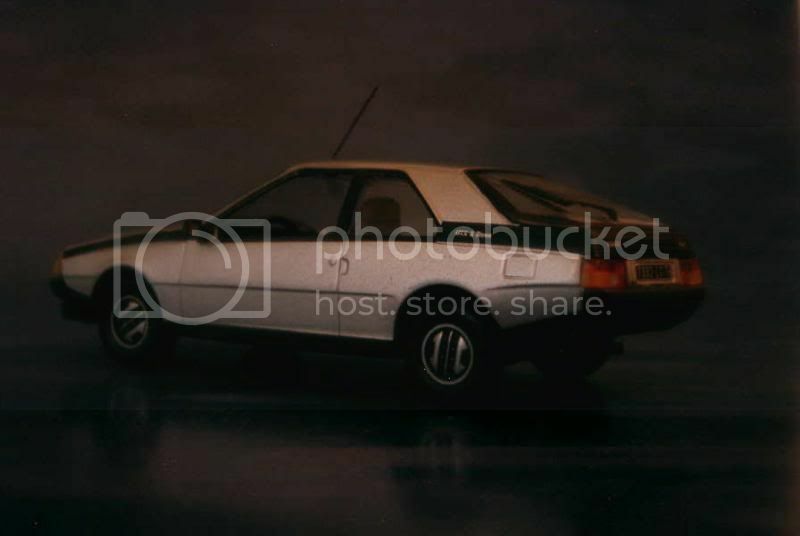 The large success that the cars designed for that niche enjoyed throughout the Seventies was quickly vanishing due to the fierce competition offered by the compact GTIs, a concept inaugurated by the Volkswagen Golf. Renault tried to improve the performances of the Fuego by grafting to it more potent engines: a 2.0-litre block came first for model year 1981, but the car had to wait two more years for an able 1.6-litre turbocharged engine, with which it could finally reach 200 kph. That was a pity, as the Fuego had a particularly slick body ideal for high speeds. Several of its equipments were quite advanced for the time, too. Such was the case of the onboard computer, the remote door lock system (a world first, that today probably equips any single new car sold in the world) or the turbo-diesel engine, common nowadays on coupes, but an ultra-rare choice back then. All these efforts were to no avail to save a car that was born too late. 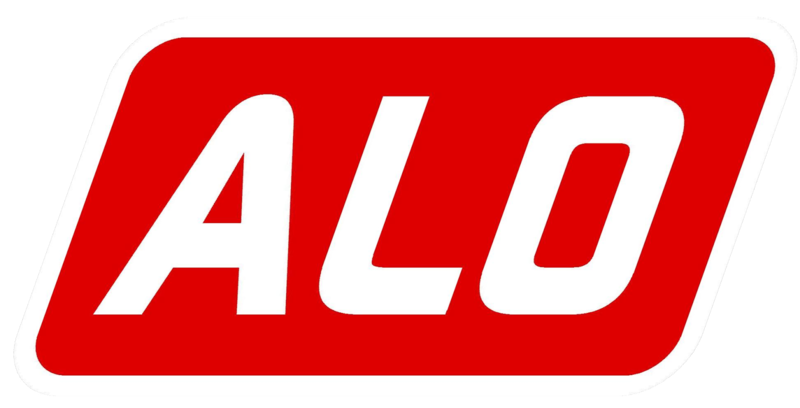 Though the Fuego cannot be called a failure, it was quickly withdrawn from production in Europe, being built until 1985 in France and 1986 in Spain. Due to the totally different specificities of the local market, the Fuego enjoyed a much longer career, and comparatively a much more successful one, in Argentina where the very last car was constructed as late as in 1992. Norev offers this interesting but rather old reproduction of the Renault Fuego. It is quite correct but is betrayed by its simple and poorly adjusted wheels and simplistic front end. I’d give 11/20 to this model. 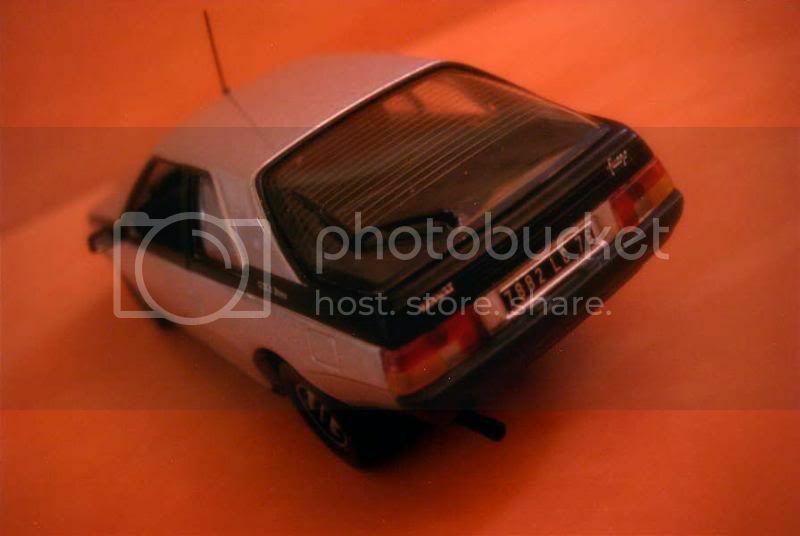 Ixo’s version of the Renault Fuego is greatly helped by the fact that it is much more recent than Norev’s version. Alas, it suffers from poor adjustment of some parts - have a look at these large black lateral pieces to see how they poorly fit. This unfortunately brings my rating down to 12/20 when it could have been much higher. 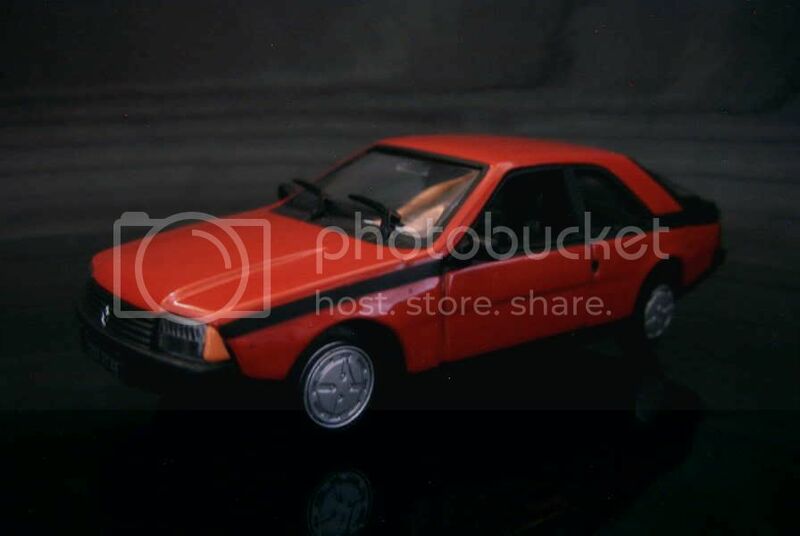 La Fuego es el modelo más bonito de Renault en los últimos 30 años; me gusta mucho el que mostrás de Norev en color rojo. Glad you like this one. I agree with you, the Fuego is also my favourite among all recent Renault models, on a par with the Twingo. 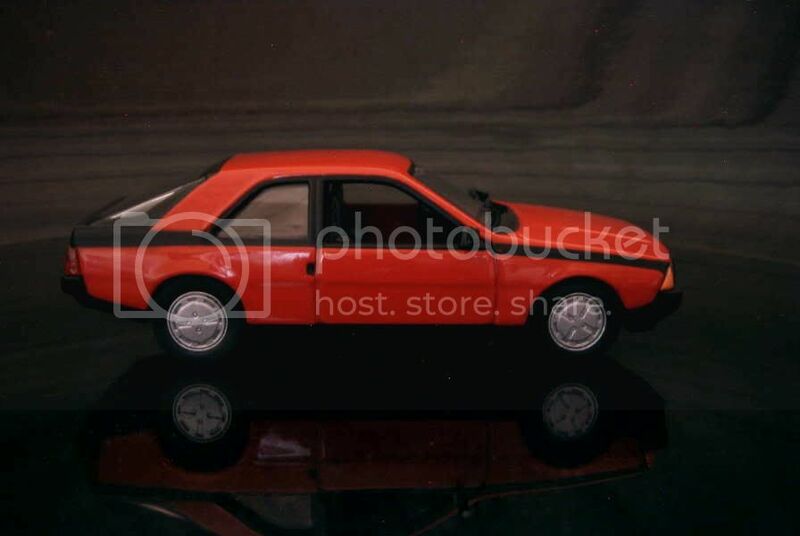 Nice models... don't know much about this Renault Fuego... thanks for charing. you are correct, in argentina we know very well this car. it was top of the top cars together with the ford sierra xr4 for several years. there was even a version with 2,2 litres and a restiling with consisted of taking off all the plastic parts, therefore you had a "complete metal". believe it or not, it was a very good result. from your models I prefer the ixo one (which I have in my collection), the norev is very good but the ixo is better. Thanks for the added details! I remembered the front end of the Argentinean version after it had been restyled, but had to look for pictures on the net after I read your comment in order to check the car as a whole. Yes indeed, very tasteful, it even looks like the contemporary Alpine on some pictures. Definitely a very desirable Fuego you had there!